Rehab facilities rely on a number of different methods for tackling the complexities of addiction. Inpatient rehab remains an incredibly useful tool for helping people break free from addiction. What does this form of treatment consist of? What are its unique benefits? Both inpatient and outpatient rehabs have their own unique features and benefits. However, inpatient rehab settings require that the individual seeking treatment checks himself into the facility. This means he will reside in the treatment facility itself until the recovery process is complete. While doing things in this way requires a bit of upfront sacrifice, the advantages are well worth the effort for many individuals. Inpatient treatment programs allow an individual to step away from the daily hassles of life to focus entirely on getting better. This intense focus on recovery can make the process flow much more smoothly. It may even allow the individual to recover at a faster rate. Inpatient treatment centers remove access to any addictive substances. Therefore, when those in recovery experience strong cravings, they can learn to work through them without giving in to their power. The removal of this temptation can be very helpful for the healing process. Challenges present themselves frequently throughout the healing journey. A person going through drug rehab therapy will often need support on an ongoing basis. Whether a serious need for this support arises during the day or night, someone will always be present to help in an inpatient setting. Inpatient treatment settings understand the significance of community support when a person leaves the facility. They place an importance on setting the individual up for ongoing success by providing access to meaningful aftercare programs. Many people affected by addiction don’t want their issues to be known in their community. 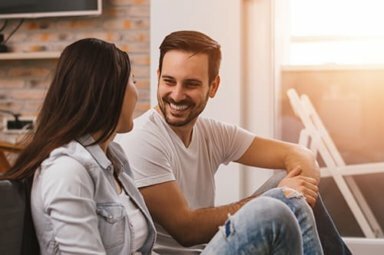 Most inpatient treatment centers place a high degree of importance on allowing the individual safety, security, and privacy as they begin their healing journey. If your loved one is experiencing the repercussions of addiction, you may feel overwhelmed and alone. Try your best to continue offering sympathy and understanding for his challenges. Encouraging your loved one to seek help through a quality inpatient rehab program may be the best gift you could give him for a happy future. Choosing the correct facility and paying for rehab may be things that weigh heavy on your mind during this difficult time. However, seeking care at a quality facility is the best thing you can do to ensure an excellent outcome and a low chance of a future relapse. Many treatment facilities accept various forms of insurance or can assist you with caring for the financial side of this process. Consider a facility with a proven track record of success, holistic treatment options, and quality aftercare programs. Morningside Recovery is a quality residential rehab center serving the Orange County, California area. Like many successful facilities, Morningside Recovery emphasizes a holistic approach to caring for these complicated issues. In doing so, they can target a program to meet the unique needs of every individual. You don’t have to continue suffering from the effects of addiction. Seeking treatment from a rehab center with an excellent track record of success can help you triumph over these issues. Call 855-416-8202 to find out how Morningside Recovery can start you on the path to complete healing.